I wrote last time about how important it is to check in with our clients about their attitudes – about their illness or injury, the idea of recovery and one day returning to work. But what about our attitudes? There has been a lot of interest lately in how the attitudes of treating professionals impact on their patients’ outcomes. In some ways, a health professional’s expectations and beliefs about a client can become a self-fulfilling prophecy. How we convey our beliefs about our client – in overt and subtle ways – can either set the foundation for success or erode it. Have you ever had a client you didn’t like? Or worked with someone you were sure had no interest or motivation? Is there a certain type of person or illness that you just don’t understand or gel with? It’s OK to feel this way sometimes. It’s normal. 1. Start with awareness – take a moment to reflect on how you feel about a given client. Are you assuming something about them that could warrant more exploration? 2. Remove emotion – if you know you’re working with a client who is difficult for you, for whatever reason, take the time to prepare for each meeting. Reflect on exactly what you want to know before you communicate with them. Create some clear questions to make sure you stay on track and get the facts you need to move forward. 3. Accept that sometimes, it’s hard – Sometimes, it’s really difficult to build rapport with a client. Be prepared to put more time into relationship building and developing an atmosphere of trust. It’s not always going to be easy and that’s OK.
4. Ask for help – Ask a colleague or a peer to review your action plan for a tough client to make sure you haven’t missed something. Sometimes a fresh perspective can breath new life into our relationships with our clients. Give these tips a go and let me know your thoughts. How do you manage working a client when you just don’t click? 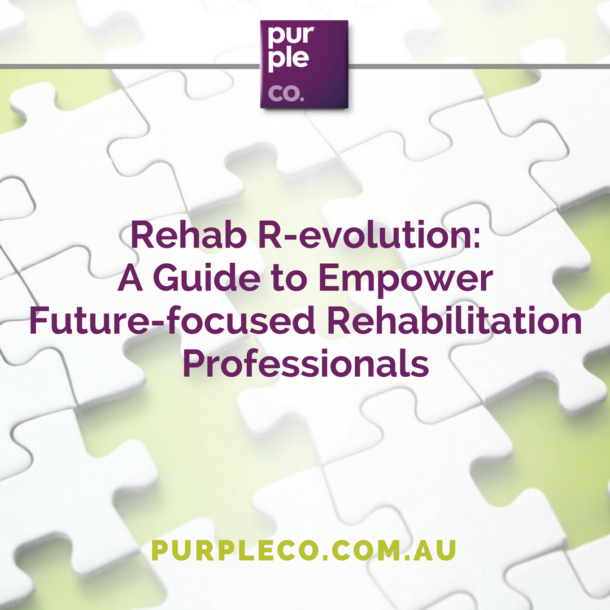 Jo Muirhead is a Rehabilitation Counsellor with over 20 years’ experience in vocational rehabilitation. She owns 2 successful businesses and is the founder, director and principal consultant of Purple Co, a specialist team of consultants that help people manage their illness, injury or disability and reclaim their lives through work. Have you received this quarter’s Purple Periodical, full of case studies and more industry information? Click here to sign up – it’s completely free and gets delivered right to your inbox.